We have the full breakdown of the September 13th Nintendo Direct full of amazing Nintendo 3DS and Nintendo Switch game announcements. In addition, we take a look at some new news that has come up since the direct on the Nintendo Switch Online service. This week we discuss what we think WOULD have been shown during the Nintendo Direct, the confusing cloud storage issues, the cute Pokemon Lets Go Special Edition Switch, and Fortnite toys!! It is non-stop Nindies as Nintendo unleashed another Nindies Direct. We take a quick look at the latest games as Motz goes hands-on at PAX West. We also have the latest news including new Smash Bros. Bundles and Play Events, Zelda Glitches, new system Updates, Fortnite performance enhancements, and of course the latest game releases for the week. This week developers, producers, and consumers are praising the Switch and Nintendo. Nintendo has completely taken over the sales charts in both Japan and the US. Blizzard, and Bethesda love the Switch, more Nindies are on the way, and of course the latest releases. It is Smash Bros. week on the dispatch! We tackle all of the highs and lows from the Nintendo Direct covering Smash Bros. Ultimate. We also break down the latest news including potential Diablo & Rage 2 ports, Doom Eternal, speculation on why Luigi was sacrificed on the stream, and all of the latest games. This week is all about sales sales sales! Not only do we have sales numbers for the Nintendo Switch, Octopath Traveler, and the NES Classic, but tons of games are on sale! We also break down the latest releases including Dead Cells, Overcooked 2, and Okami HD. This week is packed full of game and accessory announcements with a plethora of new Gamecube controllers for Smash Bros. Ultimate and new Handheld Mode enabled Joy-Cons. We also have an update on Octopath Traveler availability, Online subscription pre-orders, and Reggie's Lip-Sync battle appearance. The Nintendo Switch is completely crushing it in Japan as Octopath Traveler has taken the world by storm! Nintendo also announced some amazing new Zelda crossovers with both Mario Kart 8 and the new Monster Hunter Generations Ultimate. All of this while we break down the new releases and chat about our new favorite game Super Destronaut DX! Do we still need video game pre-order programs? We discuss Nintendo's current lawsuit going on in the EU over their current system that doesn't allow consumers to cancel a game pre-order. We also discuss what we like, dislike, and look back on memories from our pre-order past. Splatoon 2 players are getting upset about rampant cheating happening in online battles and calling for anti-cheat measures to be put in place. Nintendo is actively fighting it by banning consoles and rolling out hardware updates to patch exploits. Nintendo unleashed a new Pokemon Let's Go trailer with tons of goodies, Panic Button has "tons" in store for the Switch, Cross-play comes to Rocket League, and we have the latest releases! This week is filled with all things Pokémon as Go celebrates two full years out on the app store and Quest is crushing it in the first week. Reggie also sits down to discuss his favorite Zelda game and so do we! As always we have the latest and greatest releases for Nintendo Switch and Nintendo 3DS. It is time for the epic battle of Docked vs Undocked!!! The Nintendo Switch is a unique system that allows you to take it anywhere with you. On this week's Bonus Round we discuss how we play our Nintendo Switch and why we prefer docked or undocked portable mode. Nintendo Labo is back and is everywhere as Mario Kart 8 gains official Labo support and Motz goes hands-on with the new "experience". Nintendo is also kicking off an awesome Labo Creators Contest with one of the coolest prizes that we have ever seen. Motz and Michael dive into the Arena of Valor private beta and give their full thoughts after several hours of playing. To wrap it up we have all of the latest game news and releases for the week. 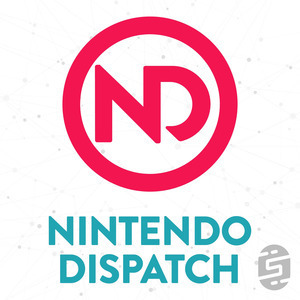 Nintendo and Microsoft put out an ad promoting cross-play for Minecraft, we cover the May NPDs, future plans for Wolfenstein on Switch, recent Splatfest results, the new Flip Grip by Fangamer, and so many games! Yes, Sony hates gamers and continues to block Fortnite cross-play and Nintendo has an official statement. Pokémon Go gets a huge update and Nintendo sneaks out some great new games including Octo Expansion for Splatoon 2 and Donkey Kong on Switch! We discuss this and so much more.